A few years ago I was developing software for mortgage brokers and I was trying to offer a better outcome than the mandatory comparison rate schedule because as discussed here it was simply confusing matters. I developed an Actual Rate calculation that was pretty good but still didn’t handle fixed rates or split loans at all well. The following table shows the calculated cost of your loan if you were to refinance it or discharge the loan with a lump sum payment at a given time. The cost includes all known establishment and exit fees net of lender rebates and fee waivers – it is not possible to calculate early pay out fees on fixed rate loans. 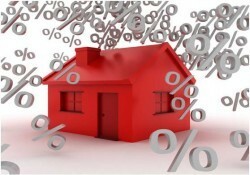 Minimum Loan and Max LVR is stated only where the lender’s discount is based on these. The calculation period is based on paying out the loan after 60 months on a loan amount of $432,842 based on a full loan term of 30 years.Ongoing rates are not guaranteed after any initial period. ← Comparison rates just confuse me!